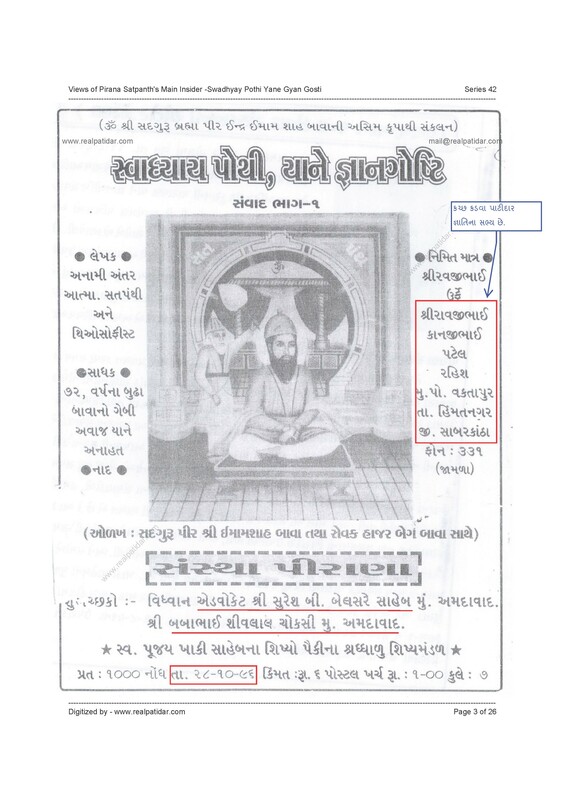 who is the resident of Vaktapur Kampa, Himmatnagar, Shri Ravjibhai Kanjibhai Patel’s views on Satpanth religion and the so-called reforms of its literature. Some of the main points worth noting, as published by him in the book called “Swadhyay Pothi, Yane Gyan Gosti”, are as under…. સતપંથની અસલ પૂજા વિધિ સૈય્યદ અહમદ અલી ખાકીએ છપાવેલ છે. The original Pooja Vidhi is printed by Saiyyed Ahmad Ali Khaki. Changes in the literature are only in outwardly language. કરસનકાકાને “પીર કરીમ”ની ઉપમા આપવામાં આવેલ છે. Karsan Kaka was given the title of “Pir Karim”. 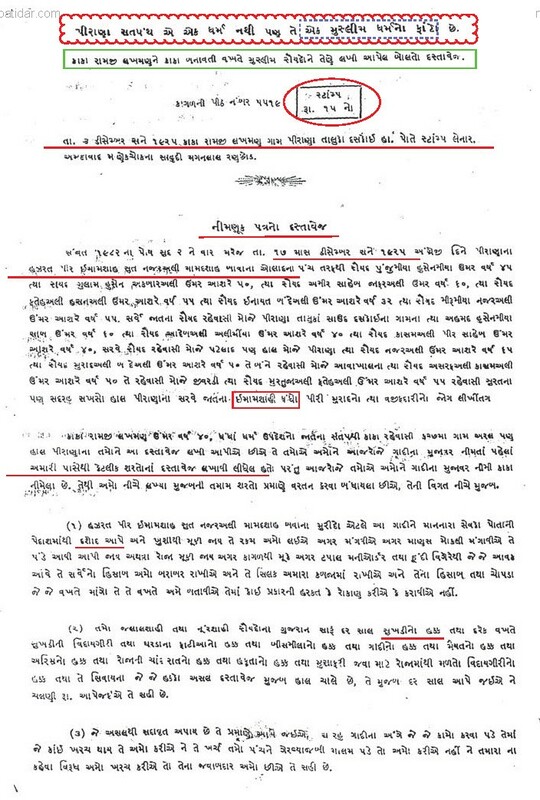 અસલ સાહિત્યો તો સૈય્યદ અહમદ અલી ખાકીનાજ છે. Original literature is from Saiyyed Ahmad Ali Khaki only. લોકોની ટીકાથી બચવા માટે સાહિત્યોમાં સુધારા વધાર કરવામાં આવેલ છે. The changes in literature was made only for the reason of avoiding criticism from people. અવિચલ દસના ભાષણ પરથી ખબર પડે છે કે મૂળમાં સતપંથ હિંદુ ધર્મ નથીજ. Avichal Das’s speech clearly suggests that original Satpanth is not a Hindu religion. ઈમામ શાહ અરબી કુળના છે અને સૈય્યદ જાતીના છે. Imam Shah is from Arab and from Saiyyed caste. Reformers of Satpanth are communal. “પ્રેરણા પીઠ” નું નામ આપવું એ ખોટું છે. It is wrong to give the name of “Prerna Peeth”. પીરાણા એ હિંદુઓનું ધાર્મિક સ્થાન નથી. 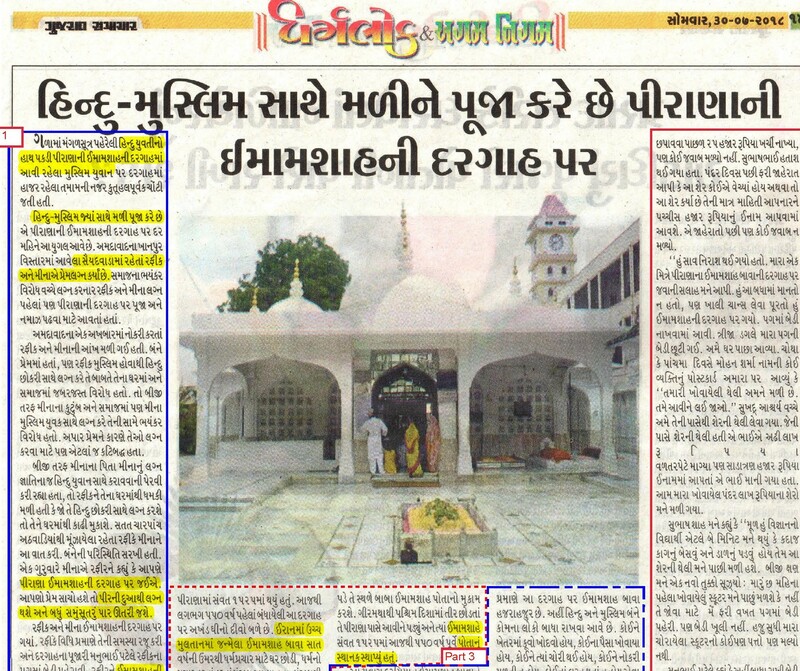 Pirana is not a religious place of Hindus. સાહિત્યોમાં સુધારાઓ ફક્ત દુનિયાને સારું દેખાડવા માટેજ કરેલ છે. The changes in literature is made only for appeasing the outer world. સતપંથ એ હિંદુ ધર્મ શા માટે નથી… તેના કારણો આપેલ છે. The reasons why Satpanth is not a Hindu religion. પીરાણા સંસ્થા એ એકજ “હિંદુ” ધર્મમાં માનવાવાળાઓની સંસ્થા નથી. Institution of Pirana is not exclusively of people believing in Hindu religion. “પીરશાહ” અને “નિષ્કલંકી” એટલે એકજ છે. “Pir shah” and “Nishkalanki” are one and the same. 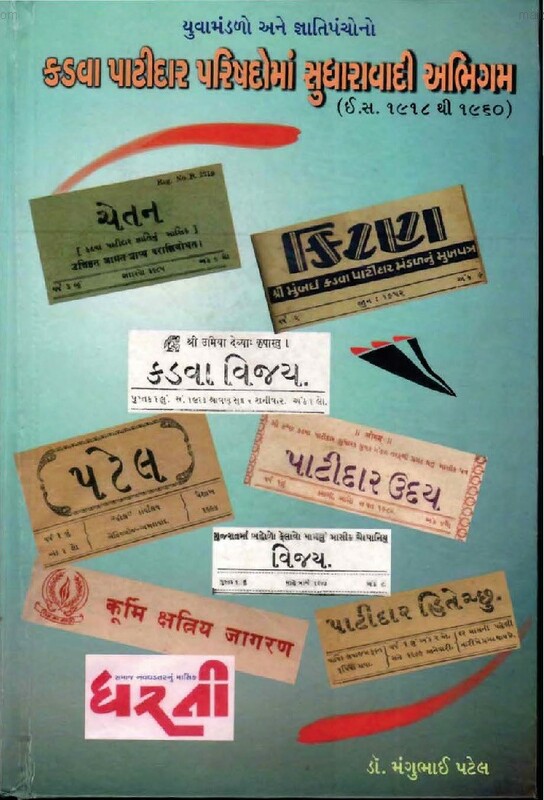 “નિષ્કલંકી નારાયણ” એટલે અરબી કુળના “નર મુહમ્મદ શાહ બાવા”. જયારે બે સતપંથી મળે ત્યારે એક બીજાને કેવી રીતે વંદન કરે. Manner in which two Satpanthis greet each other. ભાષાકીય સુધારા વધારા કરવા વાળા લોકો મનના નબળા લોકો છે. People behind the changes in literature are of weak heart. સૈય્યદ શામ્શુદ્ધીન બાવાનું પીરાણામાં ખુબ વજન પડે છે. Saiyyad Shamshuddin Bawa has got good hold in Pirana. વિશ્વ હિંદુ પરિષદના સંતો મહંતોએ સતપંથને ઓળખવામાં ભૂલ કરી છે. Leaders of Vishwa Hindu Parishad have erred in understanding Satpanth. મુસલમાનોની જેમ સતપંથ પણ મુહમ્મદ પૈગંબર અને તેમના કુળના પીરોના ગુણગાન ગાય છે. 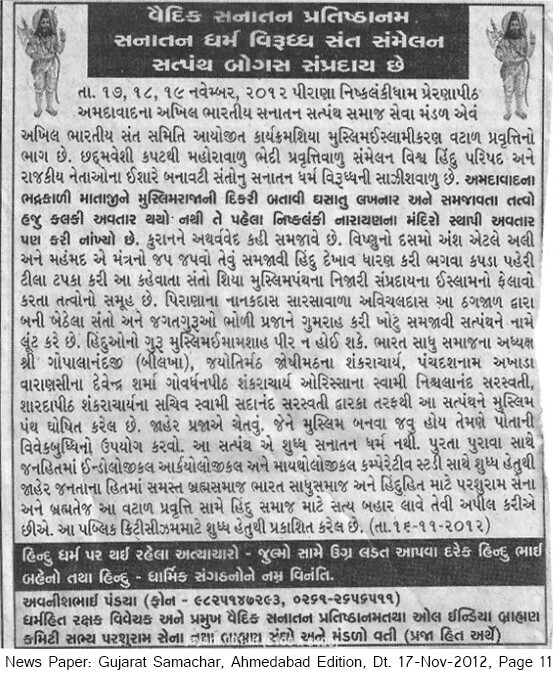 (હિંદુ ધર્મમાં આવું થતું નથી). Alike Muslims, Satpanth also believes in praising Muhammad Paigambar and his descendant Pirs. (Unlike Hindus). સાચો સતપંથી “પીર” અને “પૈગંબરને” માને છે. A real Satpanthi believes in “Pir” and “Paigambar”. friend ravjibhai kanjibhai ni vat 100 taka sachi chhe mare satpanthi uvano ne yej khevu chhe ke tmo ye site ne tmari virudhnu lahe chhe tevi rite na juvo..pan tmo je ne sardhathi mani rhya chho te nisklnki bhgvan kya chhe..hindu mat prmane je nisklnki thse ane tmo je nisklanki ne mani rhya chho te juda chhe…tmo tmara satpanth sastro no abhyas karo yetli vinati chhe,,,,pahela na vakht ma seyado yevu kaheta ke chhokrao ne bhnavta nahi ,,nhito dhrm chhodi dese..atyare tmo bhnya chho.. to hveto satpanth na pustko no abyas karo.. tmo kya station upar ubha cchho…teni kahri mahiti malse..mare vadilo virudh na bolvu joyiye,, pan satpanth na dadek 50+ vadilone khbarj chhe ke satpanth ma su chhe..kem tmo uvanone sachi mahiti nathi apta,,tevo hosiyar chhe..budhijivi chhe tevo su khru su khotu te vichari sake chhe..kem vadilo tmane bik lage chhe..jo bhnelo uvan vichari sake chhe..tene ye sachu lagse to kya dhrm chhodi devana chhe..pan tene sachi mahiti to apo..uvano tmo hosiysr chho..tmaraj dhrm sastro tme abhyas karo..ekli srdhathi chalo chho te barabar nathi,,thodi yengal chenj kari ne ye vastu nihalo ye shih chhe ke siyal te tmone jarur dekhase..